Oil pump running in the field while the sun sets down behind overhead power line and the industrial chimney smoking in the back. 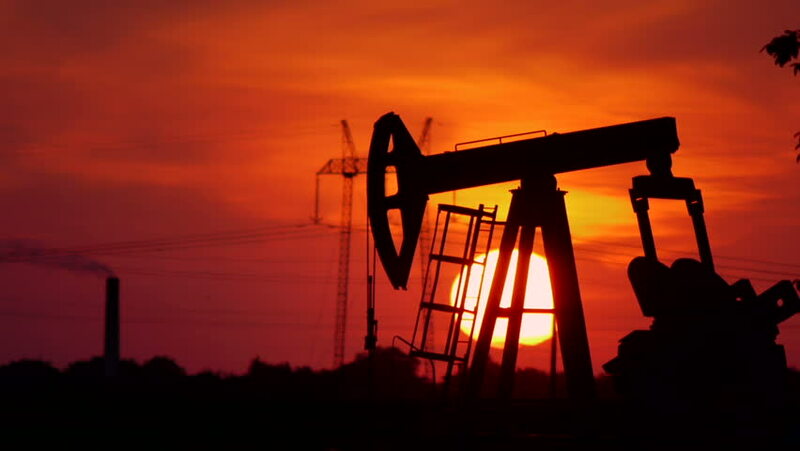 hd00:24Oil Pump working at dark sunset sky. Looped Business and Technology 3d animation. HD 1080.
hd00:29Drilling of the well. Kind from a top of rig.Oil and gas industry. Work of old oil pump jack on a oil field. Background flying helicopter.